Unlike websites where anyone can post doctor reviews, only actual patients can provide information by completing the survey sent to them by Press Ganey. Learn more. Patient comments are gathered from the Press Ganey Patient Satisfaction Survey. Comments are displayed in their entirety and are anonymous for patient privacy. "The Best and Excellent Services provided"
"Dr. Vavasis is an excellent doctor who shows great care for me as a patient." "Dr. Vavasis is an excellent cardiologist, and my office exam is always 100 per cent to my satisfaction. I have complete confidence in him." "I don't know what Dr. Vavasis is paid but I firmly believe that you should triple his pay. He is knowledgeable, thorough and clear in his recommendations. By the way, I am able to answer this survey because he saved my life. " "Dr. Christos Vavasis has always been personable and thorough when I started with him the tests he ran saved me from major heart event, the main artery to the heart was 100% blocked. He is an excellent doctor who goes above for patients. #7. Excellent communicator. #9. 100%. #10. I do all the time. " "Very professional, personable & caring. Easy to talk to - listens with interest & concern." "Dr. Vavasis is an excellent doctor." "so happy I moved my Mom here." "I feel comfortable talking with the Provider." "Dr V talks to me like we are best friends- I love that!" "These answers are why I go to Dr. Christos Vavasis. He is the best!!!" "he is going to see my wife soon"
"Dr. Vavasis is the best and most concerned doctor I know." "He took time to explain everything an answer all my questions. He even offered to see me at acloser office to my home." "Dr. Vavasis is one of a kind. He is the most kind and caring physician that I have ever seen/met. His level of knowledge and concern for my health is incredible and I am so fortunate to have him as my doctor. I have recommended him to all my family and friends." "Dr. Vavasis is an excellent doctor. his care and compassion are only matched by his professionalism and knowledge." "Very likely to recommend. I already have Dr. Vavasis is excellent, wonderful just the best." "He is amazing! There are not enough good comments to give him. All doctors should have his knowledge and patient compassion." "Dr. Vavasis is an outstanding kind, caring, doctor, you will be very fortunate to have more doctors like Dr. Vavasis!" "I receive excellent care from Dr. Vavasis at all time -"
"A1+ rating for Dr. Vavasis." "Dr. Vavasis is a caring, intelligent cardiologist. He takes time to explain everything. you never feel rushed." "I have recommended two friends to my PCP." "He is a very caring and kind doctor"
"Dr. Vavasis is one of the best doctors I have ever been to. He is so very hard working and dedicated to his patients. He is always available for any of my concerns. He is patient and kind. He is an asset to the Northwell organization." "The best doctor. He saved my life. Very friendly and understanding." "1. Excellent. 9. Absolutely. " "Dr. Vavasis is not only an excellent doctor but also a humble human. He welcomes patients, making them comfortable and then he spends a lot of time talking to you about your condition using simple words and not only medical terms. He explains with details which medication is best for you. I trust him!" "An excellent cardiology doctor Dr. Vavasis." "The doctor is very good and very easy to understand about your health." "Both of my Doctors are excellent!!!!!!!!!!!!!!!!!!!!!!!!!!!!!!!!!!!!!" "very good doctor and person"
"An excellent office throughout, desk, assistants and physicians care is flawless." "I have recommended this Dr.Varvassis to my sister-in-law,and a close friend. They both thought that Dr. Varvassis is an excellent physician." "Dr. Vavasis is the best doctor. I would recommend him to any member of my family and friends. " "Dr. Vavasis is very thorough. We trust his good judgment & he is very caring. Best doctor we know!" "I was very impressed with Dr. Vavasis concern. So much so that he called me twice. Once on a Saturday morning because he wanted me to be kept abreast." "Dr. Vivasis is a smart, concerned doctor wish I'd met him sooner." "He is better than very good." 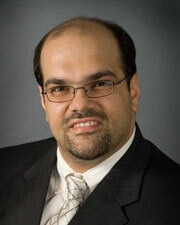 "Dr. Christos Vavasis MD is one of the best doctors in the cardiology department. Something that in today's world is extremely rare!" "doctor vavasas is like a family member with his concern and bed side manor"
"Dr. Vavasis is excellent doctor please do not let him ever leave!!" "I have recommended Dr. V_____ to several friend as he is the BEST." "Dr. Vavasis is amazing, very caring, dedicated and knowledgeable. Always goes the extra mile." "All is good except wait time." "Dr. Vavasis is a dedicated, easy to talk-to physician. He takes the time to explain the medical problems and how to overcome them. A real gem of the medical staff!" "This dr. is the best provider I have seen yet." "MD could have spent a little more time with me during my check up." "Best doctor in this practice I've deal with." "My provider (Dr. Christos Vavasis) is very courteous and professional." "Yes I send all my family to this provider." "Dr. Vavasis is as good a human being as he is a doctor." "Dr. Vavasis is my Cardiologist. He is the only professional exception in your Medical Office who is part of my Medical Insurance Network." "People very helpful. Love the doctor." "Dr. Vavasis is a very caring and conscientious doctor with a wonderful "bedside manner"." "The best doctor I ever went to." "Always compassionate, refers specialist when needed. All over my confidence level is 100%." "Love Dr. Vavasis. Have recommended him to personal friends." "Dr. vavasis is the best doctor I ever had.. He shows genuine concern about my medical needs.. I've recommended friends already to see him." "I've recommended two friends to this Dr. and both friends felt he was not only a "nice guy",but quite knowledgeable as well." "Exhibits excellence in all aspects of the medical profession - outstanding." "Very personable and easy-to-talk to doctor who listens to all questions and concerns." "Dr. Vavasis is one of the most caring physicians I've ever met. I would recommend to everyone." "Recommended Dr. Vavasis to my son." "ALL READY RECCOMENDED SON & NEIGHBOR"
"Best cardiologist - Very knowledgeable, extremely helpful, goes the extra mile; very caring." "The doctor is friendly and we have a mutual bond based on a long period of time of physician and patient....."
"The care was handled efficiently & well." "I do recommend this office." "I repeated what instruction he gave asked if I was following his instruction & understanding his instructions." "Dr. Vavasis is the best doctor of all the doctors I have seen in my life." "He is a wonderful human being." "Dr. Vavasis is professional, thorough, and caring physician. I hope he is compensated accordingly!!!" "I am pleased with the attention." "Dr. Vavasis is the best of the best. You need more doctors like him." "The doctor was wonderful. So happy I came to this office." "Provider is a excellent dr. & human being."